On Sunday Todd spoke about five happiness habits. His last point was to forget what can’t be changed and focus on the future. It is easy to get stuck in guilt and regret, but that is not where God intends for us to live! Here’s a great song to help pull us into the perspective that God has of us. Perhaps this can be your happiness booster for today! 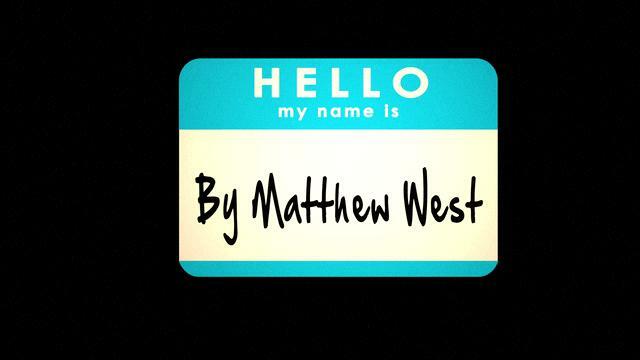 The song is “Hello My Name Is” by Matthew West. Some of our Westheights kids and students got together last spring and created a moving drama that was inspired by this song…I don’t know how the residents and staff at Forest Heights felt about it, but a few of us leaders were blinking back tears! It’s so amazing how God can remove regret and defeat in our lives, and bring us clarity. It could stop there, but He lovingly replaces it with assurance, joy and peace.